The first part of the evening will feature traditional New Orleans jazz with trumpet, clarinet, trombone, drums, bass, piano, ukulele, banjo and a vocalist. The second half of the program will be open to musicians, young and old, who want to sit in and jam with the band. On-street parking, as well as two-hour free parking in the parking deck behind the Senior Center building, is available to the public. Handicapped parking is also available on street level beneath the parking deck. Attendees may enter the rear of the building. 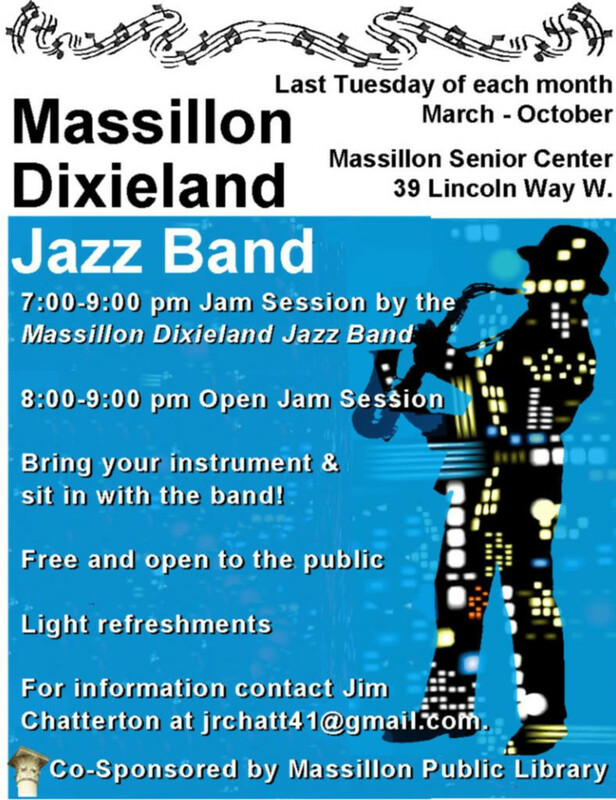 This popular concert series is co-sponsored by the Massillon Public Library.